As most of you know, the Pro Tour was last week. I, unfortunately, missed a lot of the coverage. It was kind of a busy weekend for me. However, what I did see, I was kind of disappointed by. Most notable was the lack of Magic finance possibilities. The day three coverage (which I did watch) had almost no new archetypes, with the same pillars of the format being represented, especially in the finals. 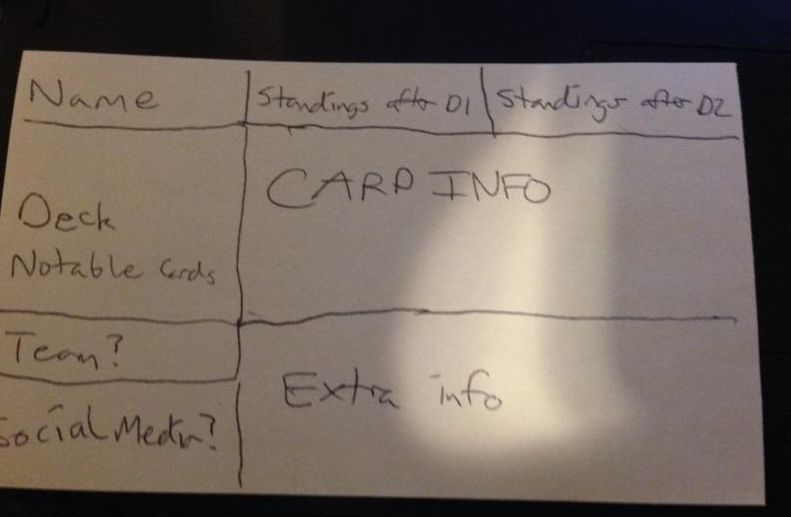 There were the typical cards that everyone hyped around for a few hours/days on Twitter and other media outlets. One teachable moment that featured this kind of progression is the Amulet of Vigor spike. There were very few people playing the Amulet of Vigor deck. However, I believe it was featured on camera. Considering there were about 20,000 people watching, this one was bound to get some buzz. There was a lot of talk on Twitter. 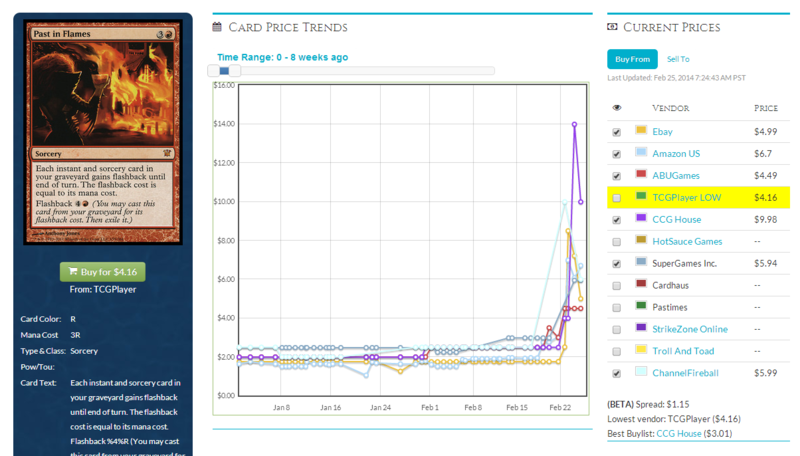 Promptly, speculators bought out a ton of copies on TCGPlayer. I really never want to get caught up in this kind of frenzy. A card like Amulet of Vigor is extremely narrow. What other decks do you honestly ever see Amulet of Vigor being played? Very few. Very quickly, players realized that this deck wasn’t putting up real results and weren’t hot on buying a copy. That got awkward quickly for the people who bought out copies of today’s Nivmagus Elemental (Now with less playability!). In contrast, there were cards that started a slow climb and weren’t instant buyouts. Cards like Past in Flames and Pyromancer Ascension saw HUGE upticks. Let’s take a closer look. These ones had little buzz until very late, when we saw them go up by huge margins as people started to take note of the standings that storm was placing. But how do you discern what are good opportunities and vacuous hype? It’s a matter of artificial and real demand. Artificial demand is generated by speculators who jump on a card to make a profit. They only want the card to be able to turn it around and sell it quickly. 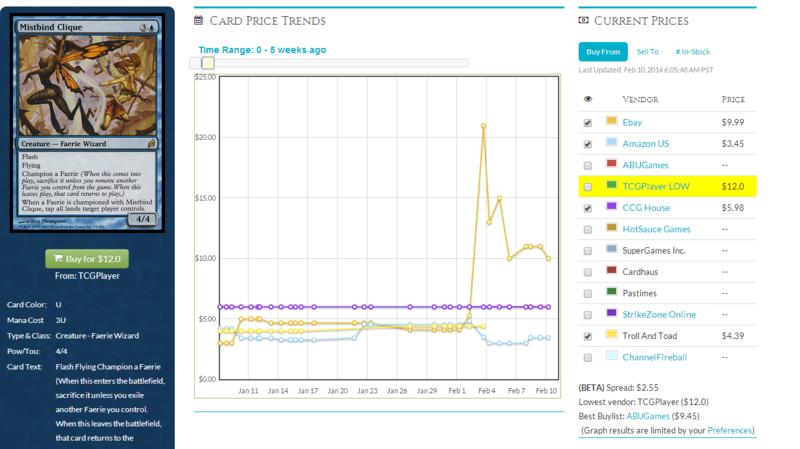 There are TONS of cards in history that have seen increases after artificial demand from speculators grab up copies raising the price extremely high. The trouble is, who are you going to sell to? 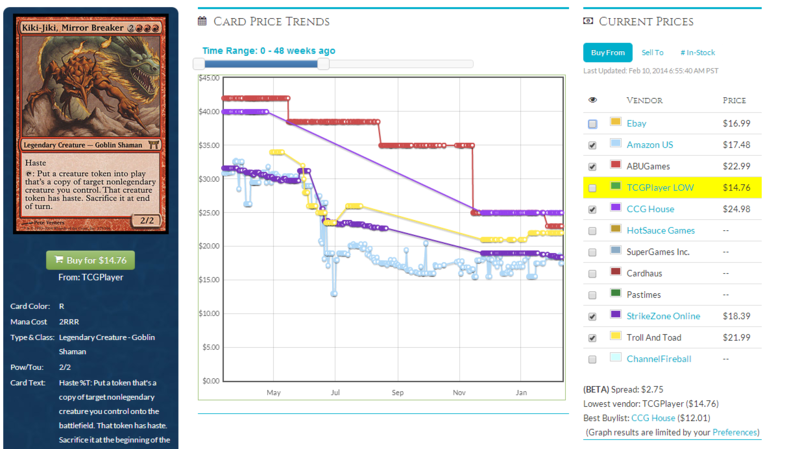 Card shops rarely increase their buylist prices on narrow cards after a buyout for this reason. Because there are merely speculators buying out these cards, there is no way for you to liquidate. 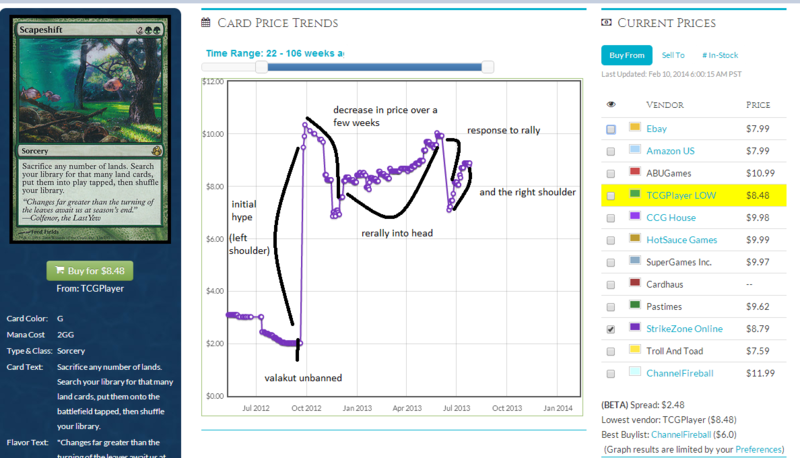 After the hype dies down, the prices go back down and you are stuck with a junk-ish card that sees little to no play. This exact scenario happened with Amulet of Vigor. There was a mass buyout and tons of people bought into the hope that there might be a high-placing deck to generate real demand. Rarely does this happen with a narrow card like this. When there was no real demand, the price tapered off and the hype was gone. Cards with real demand are what you really want to target. These cards have REAL players who are not simply looking to buy in to sell-they want to play with the cards they are buying. This means they will buy AND hold on to the cards, rather than buying to sell. Therefore, you have opportunities to get out of your positions and make money. There is virtually no ceiling on cards with real demand like Past in Flames. There is such a huge ability for these kind of cards to simply skyrocket as PTQ players will pay any cost to play a deck that placed well a pro tour. How do you identify cards that can generate real demand? It comes from your sense as a player. 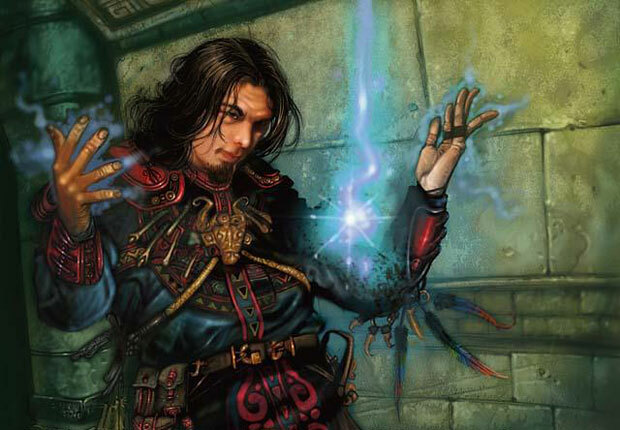 The knowledge that you gain from being a magic player is not discarded in the world of Magic finance. In fact, it is the most overlooked skill of speculators. I went over in my last article about what to do during the Pro Tour. If you were paying close attention to what people were playing, you would have noticed the LARGE group of players that were placing with Storm decks. You would have been able to make the call on buying those storm staples and making a profit on them. It’s all about being in tune with your skills as a Magic player and applying those to making (or saving) money. When I speak of real demand, it’s also encyclical. Many PTQ grinders or simply ones who want to play in their local PTQ either don’t have the foresight or can’t capitalize on it to see what their needs are going to be in the future. But you can and should see beyond this. I don’t think Wizards will change the format at the next B&R announcement. You should take this format as it is. Even if there is a B&R announcement when Journey into Nix comes out, you will still be set if you run with format staples to invest in. The Pro Tour provided the foundation for this new format. 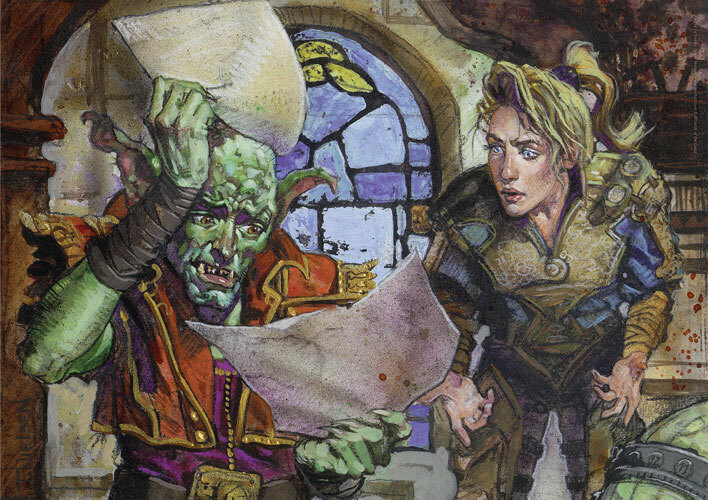 Pro players will look back to THIS point to analyze what cards and decks are good, opposed to which aren’t. Moreover, this is a guidepost to the format staples that you should be looking at. This is the breaking point for Modern. Before, very few people would play this format. However, with PTQ season approaching, more and more people are going to want to play these powerful decks. They will want to bling them out. That is REAL demand. The best opportunities in modern are going to be long term. This is the starting point. This is where you enter into the market and make the decisions to invest in the cards that have a VERY low chance of going down. That’s investing that we can all get behind. What format staples are examples of this? I feel like I’m beating a dead horse on this one. It’s too low. It won’t go any lower. Even if it stays the same price, it’s easy to liquidate and is an extremely popular card. It has playability in the UWR Twin deck, Kiki-Pod, and a few other decks. You can move in on this one now. At the bottom of my previous article I staunchly defended that Modern staples have little ceiling. I will still defend this, and now with a little proof. Take a look at that increase going into the Pro Tour. There might be a quick price decrease as the hype from the pro tour dies down. That’s when you want to move in on this card. I still think 50 dollars is a conservative estimate; this could see 60 dollars. I’m serious: Modern is here to stay. Wizards is putting too much effort in this format for it to fail. It’s time to ride the ride with WOTC. The price of this card is bonkers right now. It’s worth talking about though. I didn’t pick this card last week, and I’m not sure why. In hindsight, this is one of the best possible picks. It’s a pillar of the format and widely playable. Look for the hype to die back down and buy in. This card will never go down because it sees legacy play. It’s not too late for this one – the prices have stayed relatively the same. I don’t really know why, and I think it has something to do with the real demand being absent. This seems like so much of a no brainer to speculators that they fail to invest in it. This card isn’t getting any lower, you should definitely be in the market to pick these up. Splinter Twin isn’t going away. There were 12 copies in the top 8 of the Pro Tour. I’m a buyer under 20, it’s hilariously cheap. Even though these are my main picks, there are tons of other opportunities. You have to do your own analysis and determine what YOU think as a player are the hot new cards. I can’t tell you what all the best cards are and see into the future, but we can have a chat on Twitter. I love talking about Magic; if you have any questions, feel free to hit me up. So long for now, and good luck going into Modern season in the next few months. Undoubtedly with a new modern format, the upcoming Pro Tour will showcase Modern cards and decks that are going to soar over the next few months. These include short-term gains on cards that everyone jumps on and long-term gains on cards that will increase as we go into the Modern PTQ season this summer. This begs the question: how do you identify these opportunities during the Pro Tour? The most important thing you can do leading up to the Pro Tour is BE LIQUID. This means selling off some of those specs that have panned out. It’s a bit too late to do this in paper (unless you trade a bit at FNM), but on MODO you still have a day to liquidate certain holdings in order to be liquid. Why is being liquid important? It’s the only way you are going to be able to capitalize on the shifts in the market that are inevitably going to happen in the coming few days. If you don’t have some legitimate capital to put behind specs, you will not be able to take advantage. There are a couple of pitfalls. The first is liquidating current long term specs that haven’t actually paid off. If you have long-term specs that haven’t gained at all yet, you should NOT liquidate them. It’s not worth the loss taken to have simply an opportunity to get money. For example, if you’re on a long term hold on some casual cards like Parallel Lives, don’t sell out. It’s not worth it. The second pitfall is investing too much into hype. If you invest too high of a percentage, you could lose A LOT if the spec doesn’t pan out. I know this sounds basic and elementary, but when you get in the heat of the moment, you might get pulled into spending over 15% of your spec money into today’s Nivmagus Elemental. Who really wants to get stuck with a bunch of their money in that? There is a difference between “watching” the Pro Tour coverage and “studying” it. It is the difference between watching a deck and assuming you know how to play it and playing that deck yourself. The difference is MASSIVE. If you think you can watch the Pro Tour coverage and pick winners, you are in a much worse place than someone who is getting the whole picture. What is the whole picture? That is analyzing every part of the Pro Tour coverage. You have to see which teams are playing what deck. You have to see where there are connections between decks playing the same card. You have knowledge as a player what is good. Use that instinct to see the most played cards. I write down the player’s name. I write down the deck they are playing. I write down the cards I want to watch. Then, search them out on Twitter. If they have an account, I follow them because many Pro Tour contenders post updates. I also make note if they are on a specific team for the Pro Tour. At the end of the first day, I will look at how they are doing in the current standings. I write down their current standings and make note of how other people on their team are doing and what the breakout decks are. How do you make a move then? You watch the standings verrrry carefully day two. You want to pay more attention to those who are higher seeded, and the breakout decks and cards that come from the upper brackets. Written coverage is invaluable to see how games went. All I’ll say is: watch LSV. You’ll make a lot of money. This will give you the signal to move in. There are two types of people I would follow extremely closely. These two groups are speculators and pro players. Why follow speculators? It’s pretty cut and dry: they generate the investment demand. The moment Chas or Corbin says a nice word about a card, you should make a buy order faster than a Blood Moon can ruin a perfectly good game of Magic. I honestly would have updates sent to my phone. Considering this is a European PT, you should be paying attention this weekend and basically be on Euro time to catch the important tweets. You’ll have a major edge up if you change your schedule to accommodate the pro tour. It will allow you to move in faster on what the speculators like than someone who is paying absolutely no attention at all. I’d also appreciate it if you’d follow me. I’ll be tweeting my thoughts on the Pro Tour. The pros also need to be followed. They have the first-hand information. They will provide the REAL demand from REAL players who actually want to play in the PTQs in the summer. Who to follow? As I said earlier, LSV will make you some serious money. If he mentions a card or deck, there will be a thousand people on it (see Travis Woo’s Ninja Bear Delver deck). I also like following Travis Woo. 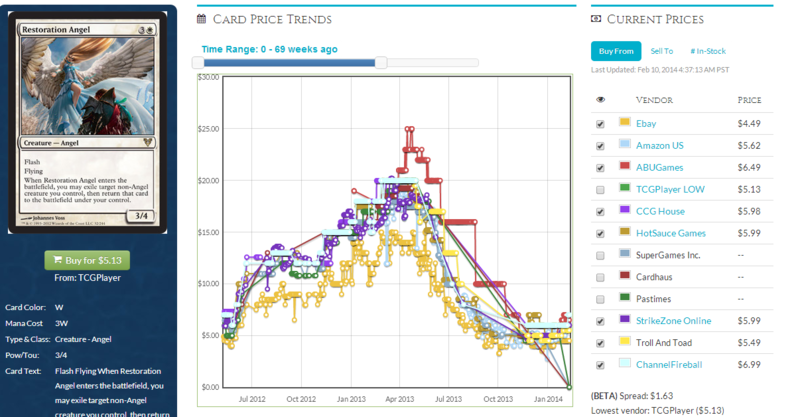 He generates a lot of casual demand for cards that otherwise wouldn’t see spikes. You should also be following the #mtgfinance hashtag if you aren’t already. That will make you a lot and get a firsthand look into cards that are being buzzed about. This article wouldn’t be complete without some cards to watch. Here you are. Full disclosure: I have no stock in any of these cards. I too am waiting to watch the PT coverage. 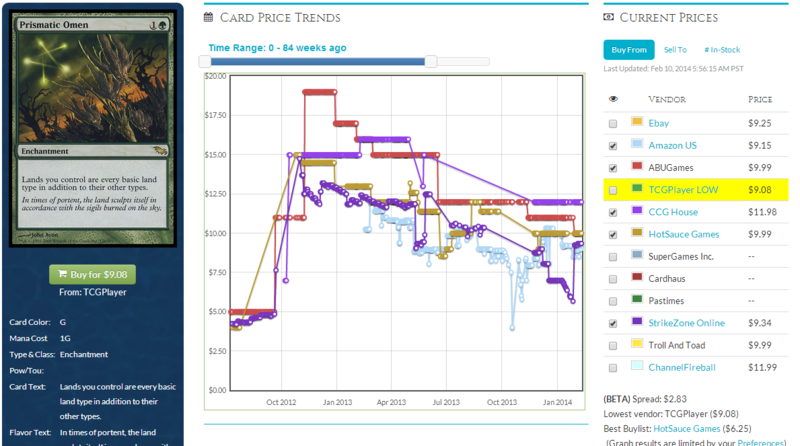 Using ProTrader, I have been watching the inventory data on this card. Copies of this card have been disappearing from all of the retailers. It doesn’t make sense; there hasn’t been too much buzz about it. There has not been a spike on this yet. It’s overdue. This card may see some play. I’m just not sure. I think you should watch it over the weekend and if you see it played just send some of your bankroll this way. This one has to see some play. I feel like I’m beating a dead horse with this one, but there should be some good play here. I’m a buyer on this card if I even see it played ONCE. Especially in Kiki-Pod. I wrote earlier about how Restoration Angel could see play in a Kiki-pod list or even a RWU twin list. Or maybe Restoration Angel will blink some faeries. Definitely a card to watch. I’d also like to watch the price of Remand. Splinter Twin and UR delver both play this card. I’ve heard buzz about both decks. I don’t think it’s out of the question to see a UB faeries deck with Remand as well. Keep a very close eye. I think it will take the breakout of Splinter Twin or Kiki-Pod at this tournament to see a spike here. However if there is a spike, it’s potentially huge. I’ll be watching these decks closely as I think they could make up the new meta after the banlist change. Could we see 60 dollars for a now-eternal staple? Yes. I have no doubt this will be played. I personally think it can make it to the finals of the tournament. I’m a buyer much earlier unless there are very few copies. Thanks for reading! I hope y’all make a ton of money during this lucrative time. Remember to buy smart and follow me on twitter. Here there are two shoulders and a head. There is an initial upswing that signifies the “left shoulder.” After this initial rally, prices decrease again to a reasonable reentry point. 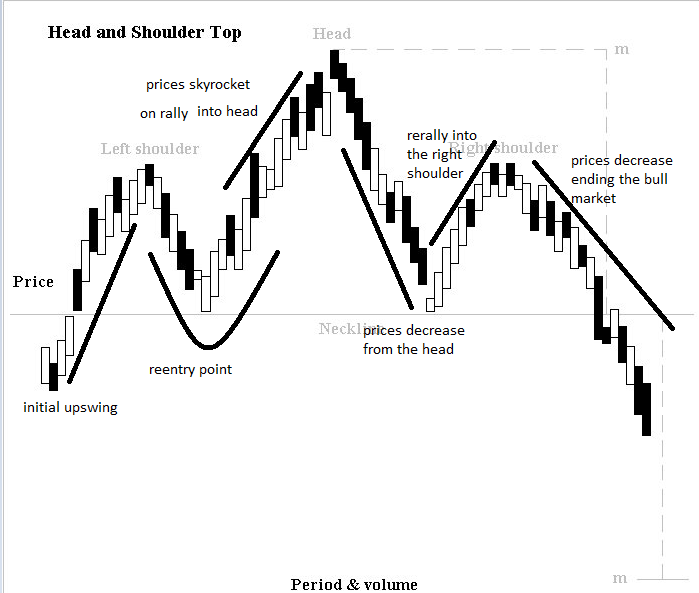 After prices decrease, there would be a second major rally where prices increase dramatically past the left shoulder point. This rally is called the head. After the peak of the head, people sell out. Finally, there is a third rally called the right shoulder. How does this relate to magic finance? It’s simple, we can use the same analysis to see how the secondary market reacts to events. This statistical method can help us see when cards are going to go up even more than they did at first, and at what price to buy in. This has the most applicability to the recent modern changes. The banned and restricted announcement caused a mass run up on certain cards, one of them being Mistbind Clique. I do not think that these run ups are now the baseline prices. We will see a dip as there isn’t the REAL demand for these cards. What do I mean by real demand? The kind of demand generated by players, not speculators. When there is an unbanning like this, there are a ton of speculators who don’t want to hold these cards for the medium to long term as players, they simply want to generate a profit. 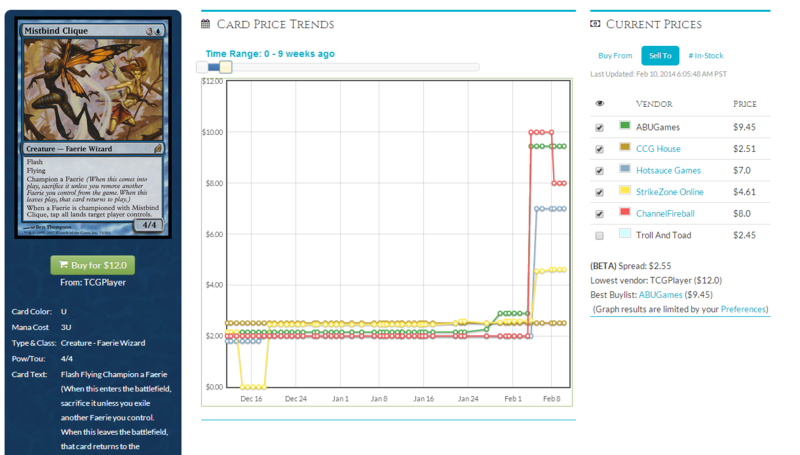 This causes a bandwagon effect where prices of cards skyrocket to levels previously unseen. The special thing about unbannings is that the pros haven’t been able to showcase decks that real players want to play. Real players haven’t seen “that deck” that has one of the unbanned cards. As a result, when the speculators sell out after making a profit, there is little real demand for those cards at those prices. 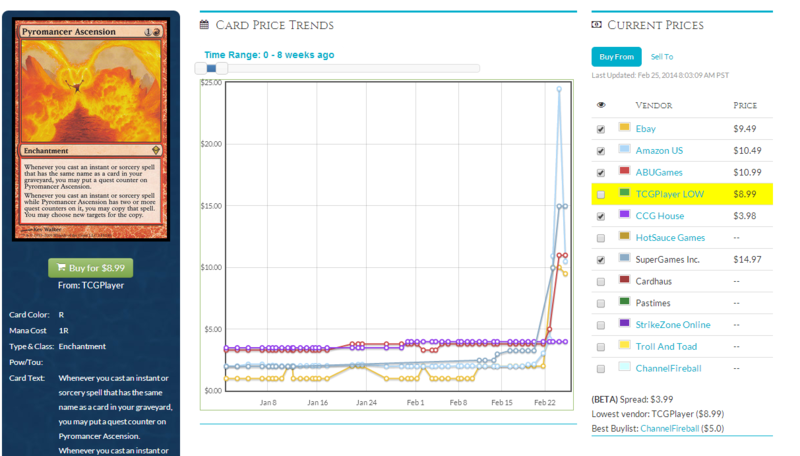 As a result, the prices drop dramatically, waiting to rally when “that deck” shows up. So where do pros showcase their decks? At the pro tour of course. Want some real proof of this? The only unbanning we’ve had in recent years in Modern was Valakut, The Molten Pinnacle. Cards that had very specific interactions with Valakut but weren’t really playable otherwise were now VERY playable. These cards are ones like Scapeshift and Prismatic Omen. Let’s take a look at the graph of Scapeshift. Was only a 2 of in a narrow deck. What can we formulate from the lesson of Prismatic Omen? Don’t focus in on narrow cards. Cards that are targeted should be a four-of in a deck. They should be playable in many decks for risk prevention. Now that we’ve looked at history, let’s look at the current cards. What would I recommend targeting around the pro tour? First, go with your gut. I know I’m more focused on statistical analysis. But as magic players, we all have that sense of what’s “good” or not (some of us more than others). You should pay close attention to the Pro Tour coverage. This provides you with a literally instant way to find things to speculate on. Watch the match-ups. The buzz factor is also important. Watch all the relevant hashtags. 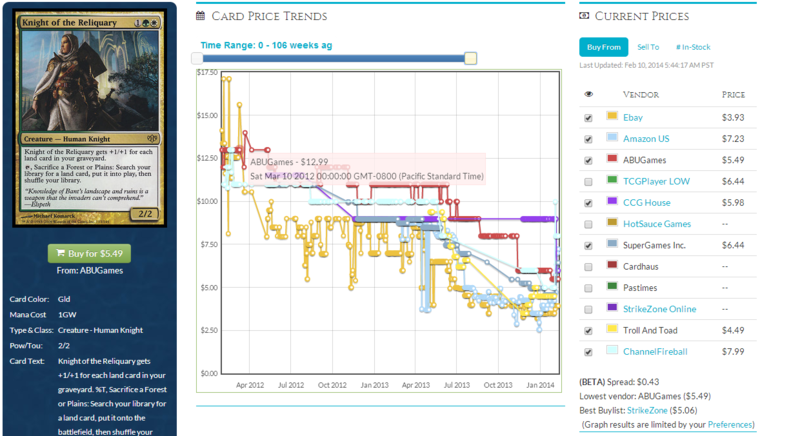 I like to watch #mtgfinance, #mtg and #mtgo. There are a few others, and there will be a pro tour hashtag to watch. (#PTBNG -ed) Listen to LSV. Listen to Travis Woo. Follow Michael Hetrick on Twitter. People with THAT kind of name power can really move cards. That’s how real demand is generated. People see their favorite pros playing or talking about a deck or card, and THEY want to get their hands on that card. 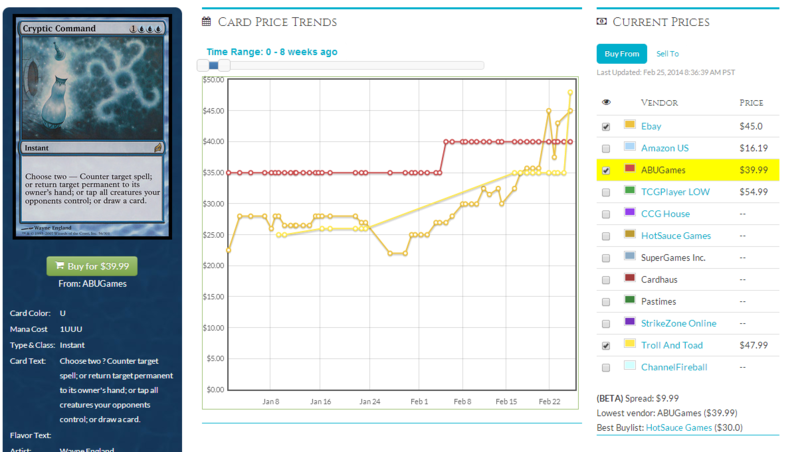 Speculators generate a sort of artificial demand for cards to run up the prices. The lasting profit will come from people who actually play modern, or are looking for cards for the PTQ season in the summer. This is also the time to make some long term bets. We are looking at cards that have the potential to double or triple by PTQ season. These are mostly cyclical. What would I be paying very close attention to? This card is TOO cheap. There is little reason this card should be five dollars with how much play it will see in Modern in the next season. The (un)bannings have provided an opportunity for Restoration Angel. I could see a UWB or WB deck with Bitterblossom and this card. I wouldn’t move on it now. I want to see proof of this card seeing play. Regardless, five bucks is the absolute floor for this card. I don’t see it reasonably going down AT ALL. This is low-risk, possibly high reward. It sees play in Commander and Cube, so there’s some potential for long term growth. Keep your eye on this. I think the spike on this card is unwarranted. Many others feel the same way. There’s going to be a major sell off for the next couple of days. Look at the hilariously high buylist prices. A selloff is in order. Speculators are the only people who were actually buying into this hype. Over the next two weeks coming up to the pro tour, they will start selling off after getting in on the ground floor. I’d put this at a hard WATCH. Pay attention to what pros are saying about this card. If you think that there’s enough hype around it coming into the Pro Tour, it’s reasonable to move in on this one. Sell into the pro tour hype. This is exactly what I was talking about with head and shoulders. We’ve had the left shoulder. The selloff is about to happen. Get in when prices decrease dramatically and you could see the head be even larger than the run-up on this card initially. This one has been on a steady decline for the past several weeks. I don’t think there’s a reason for this card to decline while Splinter Twin rises (more on that one in a moment). Kiki-Jiki is good in the Kiki-Pod lists a couple of months ago. While that deck fell a bit out of favor, I could see a deck with better creatures being better against a field with more Zoo and Fae decks (um. Restoration Angel blocks 3 power flyers for days). Also, Splinter Twin is fast and has the disruption to Remand annoying faeries. I don’t see this not going up. If there’s a Faeries deck, it might play this one. Moreover, Splinter Twin and the TWoo and UR delver lists are playing this amazing card. Deathrite Shaman, a notoriously useful card against Snapcaster Mage, is gone now. Also, Deathrite comes out T1 and is immensely frustrating. I don’t think there will be major gains here, but it’s possible you could get a 30% gain from this card. Out of any banned card in Modern, I think this has been the most unwarranted sell-off. This is a Legacy and (to a lesser extent) Standard playable. Watch the price. I’m a buyer under four dollars. Buy foils too. Foils are good as this is a Cube and Commander card. Watch the price for foils. If they tank, you’ll be in for some major profits. This, surprisingly, hasn’t seen a run up. I don’t know why. It plays very well with Wild Nacatl in a Zoo deck as a huge beater with a very useful effect in that deck to get a, say, Gavony Township. It’s also widely playable across the format. With Noble Hierarch being the defacto mana dork now, a Bant goodstuff deck may come to the forefront for example. Either way, I don’t see this card going lower than it is now. It’s definitely a pickup. Before I go, I’d just like to introduce myself. I’m Camden Clark, and I’ve been playing Magic since Dark Ascension. I’m really interested in the financial aspect of MTG, and want to use statistical analysis to help evaluate cards. Follow me on twitter at http://twitter.com/flshbackfinance I’d love to have a chat! In full disclosure, I have not purchased any of the cards I have endorsed above, I’m just trying to help you know what to look for in cards and how to use the powerful statistical tool that is mtgprice.com!